A general review of past police forensic methods that led to wrongful convictions and the newer development in forensics that could change criminalistic communities. Genetic phenotyping for facial reconstruction being the hottest topic in the media. 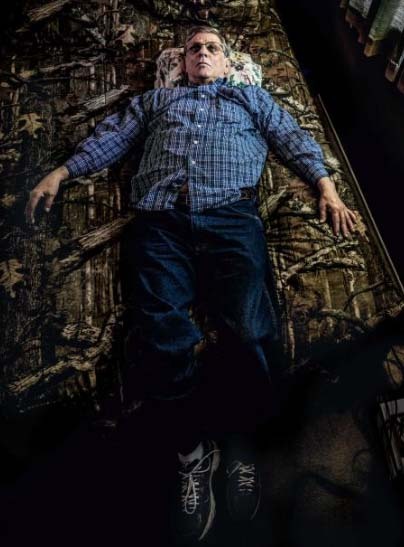 A forensic dentist testified that the chances were one in a million that a bite mark on a murder victim’s arm came from anyone but Steven Mark Chaney (above, on his bed), who was convicted of the crime in 1987. But there is little science to back up bite marks’ validity as a forensic tool. In one study 30 dentists analyzed bite marks created by a Bite-o-matic on pigskin as a stand-in for human flesh (at top). Even experienced examiners made errors. Chaney was set free last October after the bite-mark testimony was dismissed. Photographed at Ontario Forensic Pathology Service. 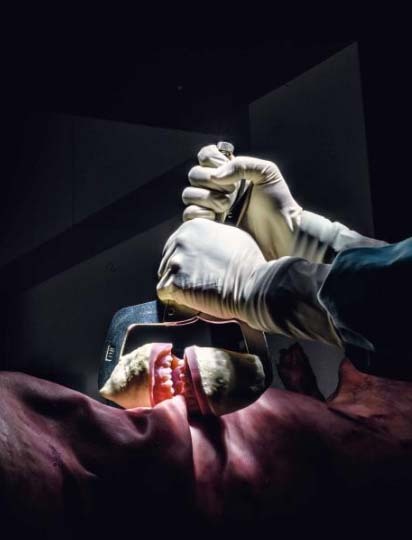 This entry was posted in AAFS, ABFO, Bite Marks, Bitemarks and tagged American Academy of Forensic Science, AMERICAN BOARD OF FORENSIC ODONTOLOGY, Bad forensic science, criminal justice, Forensic science. Bookmark the permalink.